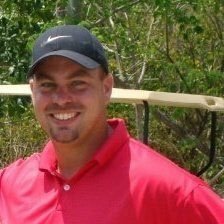 We would like to introduce you to our new Director of Golf, Mike Benson. Mike has been a part of the golf industry for over 14 years. Born and raised in Smithtown, New York, Mike, like many northerners decided to pick up and move south. He began his career at Crow Creek in 2004 after graduating from SUNY Oneonta. We could not be happier to have him back with us after all this time! Benson has been the Head Golf Professional at The Pearl Golf Links since 2012 and General Manager since 2013. During his tenure at The Pearl, Mike led the way as the golf courses made a resurgence in the Grand Strand golf community. His is going to be a great addition to the team here at Crow Creek! Mike is taking over for his good friend Jimmy Biggs, who has moved on to be the PGA Head Professional and Director of Golf at Pine Lakes Country Club in Myrtle Beach. We want to thank Jimmy for his time and service to the Crow Creek family and community. He will be missed. Make sure to come by the golf shop and meet Mike. He is always up for a good chat and even more ready for a game of golf.